Hyson Tea is a wonderful Chinese green tea that comes from the Anhui and Zhejiang provinces in China. This is a tea that distinguishes itself from other green teas by the way the leaves are twisted and shaped. Would you like to taste this tea and find out more about it? Come and learn to choose between different varieties of hyson green tea. Brew and taste a refreshing green tea. With each sip of this tea you experience both a journey through history and the amazing health benefits this tea has to offer you! Enjoy each moment as each leaf unfurls to offer you a unique cup of hyson tea! Hyson is a green tea that is grown in China, originally in the Anhui province, but today it has spread to other places as well, inside and outside of China. 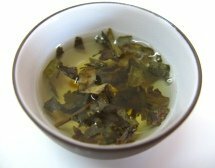 It is harvested in the spring, accounting for the beautiful meaning of its name - Flourishing Spring - and which suits perfectly with its earthy, smooth and warm flavor and the way its thinly rolled, twisted leaves gently unfurl in your teapot. Hyson green tea is usually made from older larger leaves. And because of the age of the leaves, this tea is considered a lower grade. In fact, the higher qualities of hyson tea exist, but go by other names. Let’s begin by looking at regular Hyson green tea. This variety of green tea is further divided into three different sub-grades: Mi Si, Cheng Si and Fu Si. Despite the lower quality of the leaves, this Chinese green tea has become much appreciated over time. Looking back at Britain in the 18th century, hyson was so desired that taxes applied to this tea were higher than to other types of tea. It also delighted many tea lovers, inspiring 19th century poets such as Ralph Waldo Emerson. 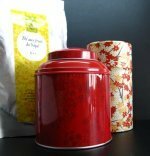 You will find that Hyson tea is also often called Lucky Dragon tea. However, Lucky Dragon Tea and Hyson tea are not exactly the same, as Lucky Dragon is in fact a finer variety of Hyson green tea, with a lighter flavor. This variety is called Young Hyson and deserves to be considered on its own. Young Hyson takes your tea tasting experience to another level. This variety is, unlike regular Hyson, regarded as a high quality tea, being harvested earlier, before the rainy season, and then just the younger leaves and the bud of the tea plant. This type of tea offers you a full bodied beverage, a beautiful golden color and a sweet fresh taste. This is a great green tea to take in the morning. Young Hyson tea may be further subdivided into three groups, known as First, Second and Third Young Hyson that will equally overwhelm your senses. Each brew has its distinct taste and powerful health benefits. Give each a try and you won’t regret it! One of the best benefits of drinking green tea is what it does for your blood pressure and bad cholesterol. The antioxidants help lower these levels, assisting you in preventing cardiovascular diseases. It also prevents the formation of blood clots that are at the source of heart attacks and strokes. At the same time it has the added benefit of boosting your immune system. 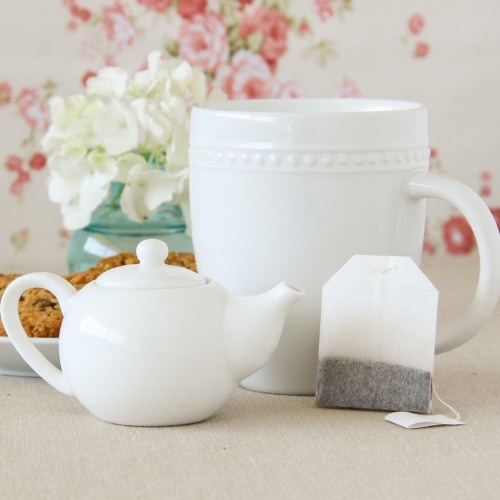 Everyday new links are being found between drinking tea and weight loss. And this is because drinking Hyson green tea will help to speed up your metabolism. A faster metabolism is how you burn fat, build muscle and become healthier. Hyson tea improves your digestion and gives you the energy you need to exercise on a regular basis. It is a whole new lifestyle served in a cup of tea! Getting out of bed is not always easy and it’s even worse on Mondays, isn’t it? So how can you get an energy boost when you are trying to cut down on your coffee? Try drinking Hyson green tea. While coffee seems to help you almost instantly, it doesn’t actually last long. Caffeine in tea is less strong, it’s healthier and it stays in your metabolism for 6-8 hours. Your days of hiding your smile are over! 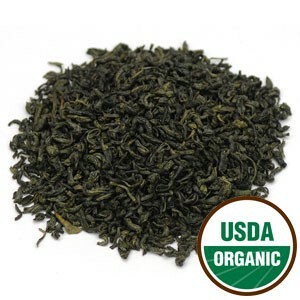 Unsweetened green tea like Hyson tea has amazing antioxidants that ward off viruses and bacteria. Additionally, it also contains minerals and fluoride that prevent dental plaque, bad breath and tooth decay. Take a cup of tea after your meals to improve your digestion and your oral hygiene at the same time. How can a tea with caffeine also help you to calm down? This type of tea stands out for being the perfect combination of energy and relaxation with the help of an amino acid called theanine. It will help you relax, while enjoying a cup of this soothing tea. Green teas like Hyson can also help you fight bad odors due to the presence of tannins in it. You just have to boil water and add some tea to it. Once it has cooled, put your feet into the water and let it do wonders. You will feel both cleansed and refreshed. There are many more health benefits waiting you for you to discover, so take a deeper look at green tea health benefits. Would you like a cup of Hyson Green Tea now? To better enjoy this Chinese green tea and get the most out of it come along and learn how to make Hyson tea. Taking the time to prepare your tea is a great way to get rid of the stress of your day. Use fine Chinese white porcelain cups and you can perform your own tea ceremony. White cups let you see the true color of your tea, the golden liquor of a cup of Young Hyson, or the green liquor of regular Hyson. Always use spring water when preparing your tea. This will ensure the best tasting tea. When making your tea, always use a fresh pot of water. Reboiled water has less oxygen and makes a flat cup of tea. Being a green tea, the water temperature should be below boiling, so keep it between 70ºC - 80ºC (approx. 158ºF - 176ºF). Place one teaspoon of loose tea leaves per cup into your tea pot. 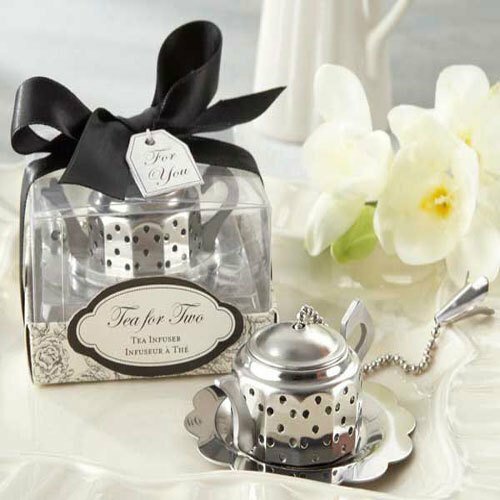 You may use a tea infuser to place your tea leaves, but it is optional. These leaves have been hand-rolled and twisted with great care, so letting them swim free in your teapot, allows them more room to expand freely. It is a sight worth beholding. Pour the hot water into your teapot and let your tea brew for 3-5 minutes. 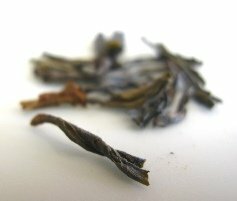 Over-brewing will result in a bitter taste, so if you want a milder tea, consider a shorter steeping time. Learn to adjust the time according to your taste. 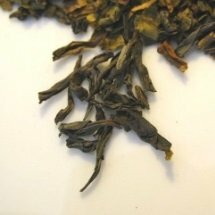 Using the same leaves for a second or third brew is perfectly ok, but you may need to increase the steeping time. Pour your tea and sip. Can you feel that fragrant astringent green taste? Hyson tea is a full-bodied tea that actually blends quite well with mint leaves, resulting in a doubly refreshing tea. Would you like some Iced Tea? When you feel like something cool, try cold Hyson tea. This green tea is excellent as an iced beverage and there is very little that you have to change when it comes to brewing this ice tea. Use 6-8 teaspoons for 5-6 cups of tea. 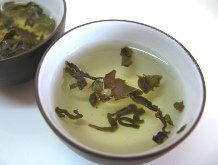 The water temperature should be the same, but you should brew the green tea leaves for 5-7 minutes, to account for the additional water. Then pour your liquid into a pitcher, add ice. If you wish you may adorn your tea with a slice of lemon or squeeze a lime into the pitcher. Pour into tall clear glasses and enjoy a refreshing moment. Purchase Your Young Hyson Tea Today! Click on the image or on the link below to purchase from Starwest Botanicals your Organic Young Hyson Green Tea. Put the kettle on and try this lovely organic green tea. 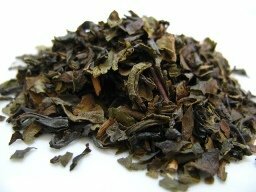 Young to medium tea leaves that make a wonderful of Hyson green tea you will never forget. Don’t you just love the smell of a freshly brewed pot of tea? Enjoy your Hyson Green Tea!